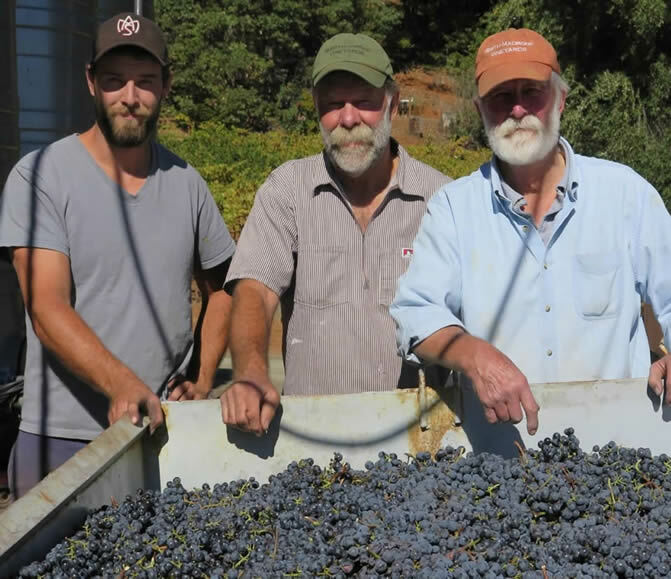 Brothers Stuart and Charles Smith are the vineyard managers and winemakers of Smith-Madrone Winery. Also in the family attic is the Fetherolf family, German farmers from the Palatinate region, who came to America on the Good Ship Thistle in 1730. The name for the winery came as a tribute to the Smith brothers who pursued their dream and to the Madrone trees which distinguish the property. In May 1971, with a partnership of family and friends, Stuart Smith bought the 'terroir' which today is Smith-Madrone Vineyards & winery. He was 22 years old and had just received his B.A. in Economics from UC Berkeley and was taking classes towards his Master's in Viticulture at UC Davis. In trying to find land to plant vineyard in the Napa Valley, through a family friend he explored a forest on the remotest and highest part of Spring Mountain and discovered that the land had been a vineyard in the 1880s and in fact had been part of the wagon trail route between Napa and Santa Rosa. 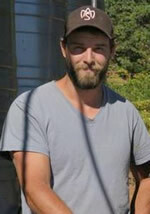 Today he is respected for his expertise and leadership as a mountain vineyardist. Stuart was born and raised in Santa Monica. While pursuing his master's at UC Davis, Stuart was the first teaching assistant for wine industry pioneers Maynard Amerine and Vernon Singleton in 1970-1971. He taught enology at Santa Rosa Junior College and Napa Valley College; he has chaired the 1986 and 2006 Napa Valley Wine Auctions. He is an active member of the G.O.N.A.D.S. (the Gastronomical Order for Nonsensical and Dissipatory Society), a group of Napa Valley vintners who started getting together for monthly lunches in the 1980s. He served on Napa County's Watershed Task Force for several years, appointed by the Board of Supervisors; in 2006 he was appointed again by the Board of Supervisors to sit on Napa County General Plan Steering Committee, responsible for updating Napa's General Plan, a three year project. Stu also serves as auctioneer for an Omaha (NB) charity auction every year. Stuart served as Scout Master for St. Helena's (Boy Scout) Troop One for many years and continues as the Troop's Chair today. He is an avid canoeist, having canoed through the Quetico Wilderness in Canada many times and often canoes the Klamath and Trinity Rivers in California. He has five children and three grandchildren; the family includes a photographer, management information specialist, winemaker, wine marketer and college sophomore. 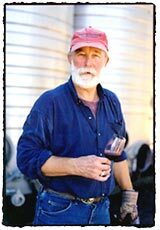 Charles F. Smith is the winemaker and general factotum for Smith-Madrone Vineyards & Winery. His brother Stuart Smith is the vineyard manager and general partner. Also in the family attic is the Fetherolf family, German farmers from the Palatinate who came to America on The Good Ship Thistle in 1725 and settled in Pennsylvania. After graduating from Santa Monica High School, Charles went to school at the University of California, Berkeley, where he discovered wine, and San Francisco State University, where he studied for a master's degree in English literature, which to this day remains uncompleted. In his "wild oats" days he worked as a probation officer, a furniture mover and a taxi cab driver in San Francisco. In 1971 he acquired a K-12 teaching credential. After teaching for a while he joined his brother at the vineyard in 1973. Some years back Charles was a top level croquet player, representing the United States a number of times in international competitions. Until recently, he held the dubious distinction of being a co-participant in the longest single game in the history of the World Croquet Federation. The game was played against the Japanese champion in Newport, Rhode Island, in the 1992 World Championships, and lasted 7 hours and 35 minutes. Thankfully, he won. Currently he plays mainly for fun and is retired from the rigors of international play. Charlie's son Alec, a professor of economics at Virginia Tech, and his wife Ericka and their two daughters live in Blacksburg, Virginia. He has lived in St. Helena for more than 46 years. Before joining Smith-Madrone Sam traveled, alternating working harvests at wineries and working as a sommelier at distinguished restaurants around the world. He has worked in Germany, New Zealand, Australia, Washington, the Caribbean, and a few wineries around Napa Valley as well. Born and raised in the Napa Valley, Sam grew up playing football, tennis and golf. He is an avid outdoorsman and obtained his degree from UC Santa Barbara.